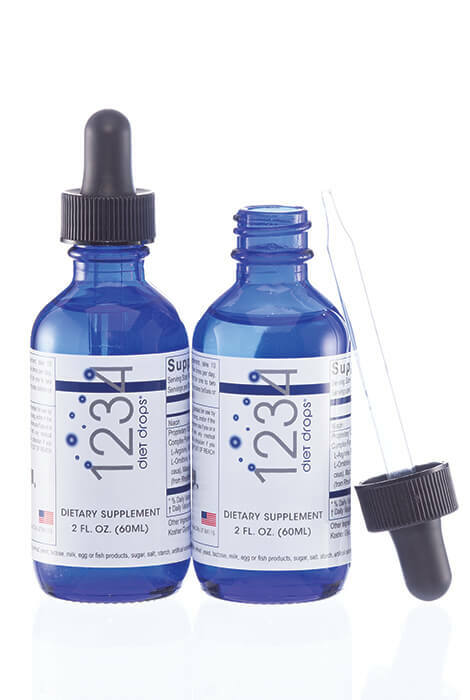 Creative Bioscience® 1234 Diet Drops Twin Pack is a dynamic weight loss supplement designed for rapid weight loss. Slim down with less fatigue and hunger, and fewer cravings. 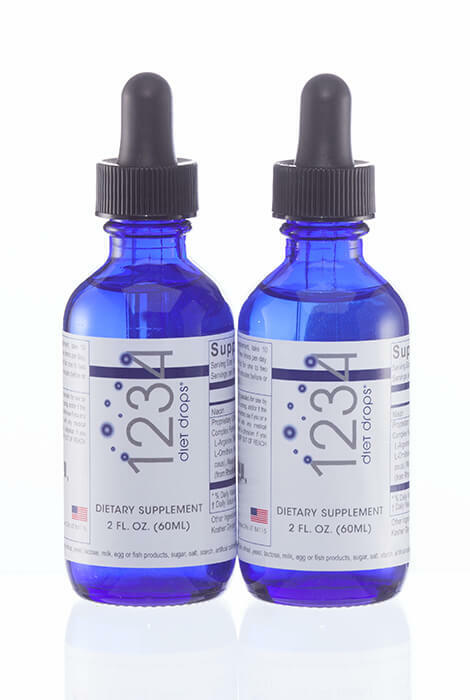 The proprietary blend of ingredients promotes fat metabolism and provides essential nutrition. It works with a one-two punch: burn fat quickly, then maintain ideal body weight. Based on the revolutionary research of Dr. Albert Simeons, hCG dieting does not require exercise. Dieters choose a calorie plan to fit their situation and lifestyle, helping them shed excess weight in problem areas. To use, take 10 drops under the tongue three times per day, 30 minutes before eating, and hold for one to two minutes. Don’t eat or drink for 10 minutes before or after taking the drops. Free from soy, wheat, yeast, lactose, milk, egg, fish products, sugar, salt, starch, artificial coloring, flavoring or preservatives. To use, take 10 drops under the tongue three times per day, 30 minutes before eating, and hold for one to two minutes. Don’t eat or drink for 10 minutes before or after taking the drops. As a dietary supplement, take 10 drops (0.5 ml) under the tongue three times per day, 30 minutes before eating, and hold for one to two minutes. Do not eat or drink for 10 minutes before or after taking the drops. Warning: Use only as suggested. Not intended for use by anyone under the age of 18, pregnant, nursing, and/or if the packaging is broken. Consult a physician before use if you or a family member has been diagnosed with any medical condition. Discontinue use and contact a physician if you experience any unusual symptoms. KEEP OUT OF REACH OF CHILDREN. Amount Per Serving: Niacin .475 mg, Proprietary 1234 Diet Drops 3070 mcg, Complex Formula; L-Arginine, Beta-Alanine, l-Carnitine, L-Glutamine, L-ornithine, Astragalus Root (Astragalus membranaceus), Maca Root (Lepidium meyenii), Rhodiola Extract (from Rhodiola rosea Root). Other Ingredients: Purified Water‚ USP Grain Alcohol, Kosher Glycerin. DOES NOT CONTAIN: Soy, wheat, yeast, lactose, milk, egg or fish products, sugar, salt, starch, artificial coloring, flavoring or preservatives. Gluten Free and Non-GMO.